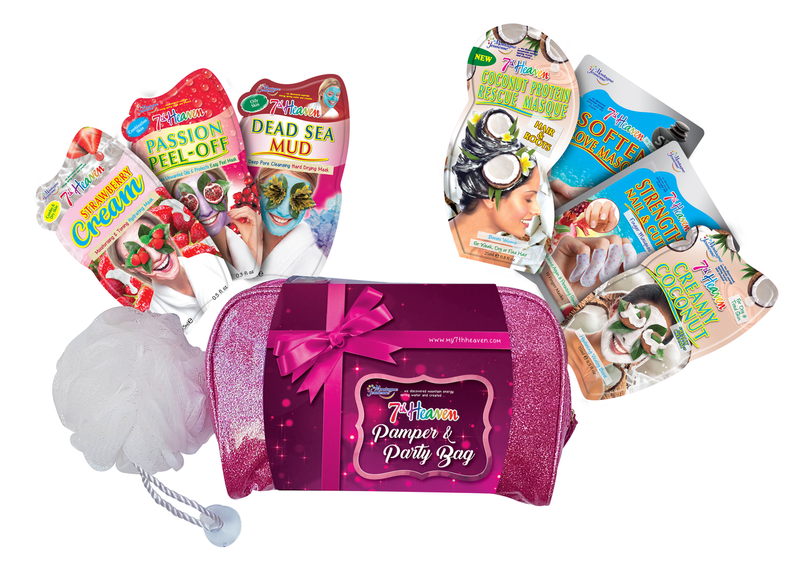 FREE Pamper & Party Pack from 7th Heaven! 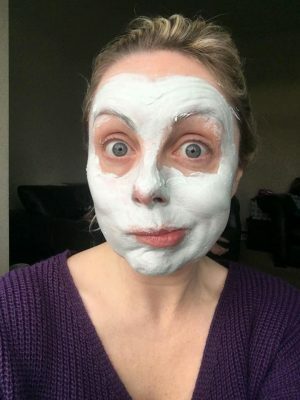 When I reached out to companies to ask for contributions to a blog about pampering yourself I was interested to hear from award-winning beauty brand 7th Heaven. I’ve seen the sachets of their face masks when I have been out shopping and always assumed that the cheap price tag meant poor quality product. Me, my son and step daughter all gave them a go and enjoyed them with our skin looking and feeling fab afterwards! As well as enjoying the face masks I was also pleased to read that the products are natural and cruelty free. With individual face masks retailing from just £1, and gift packs from £7.99, this is great for kids to give to their mums, or for mums to buy for themselves without splashing the cash. Charcoal Peel-Off: Fancy cleaning your skin without the pain of most charcoal face masks? The fabulous pain-free peel-off face mask from 7th Heaven will leave problem skin feeling cleansed and detoxified, without the usual hassle and discomfort that comes with cleaning your pores. Charcoal Masque: Remove oils and impurities with this 2 in 1 mud mask with purifying natural Charcoal and exfoliating Walnut Shell work double time to help detox skin. Dead Sea Sheet Mask: Need to feel pampered and rejuvenated? Let the mineral rich Dead Sea Salt, soothing pressed Seaweed & red Algae revive tired, stressed out skin leaving it smooth and rehydrated. Brazilian Mud Sheet Mask: The lush vegetation of vibrant Brazil is the source for this natural beauty. Purple Brazilian Mud, rich in magnesium, cleanses & stimulates skin while pulped Acai Berries, high in antioxidants & vitamin enriched Avocado join forces to fight free radicals. 7th Heaven also have numerous Christmas gift packs available, including fantastic treats for your skin, hair and body and you can find out more on their website. 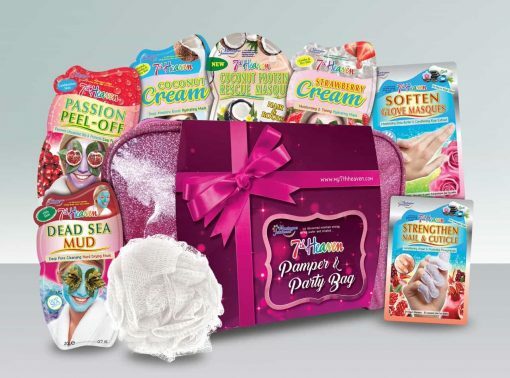 To win one of their pamper packs simply click here to enter my giveaway! Good luck! Gutted I missed this competition. There really isn’t much in life that is better than doing a facemask in your PJs on a Friday night (yes, I’m old).